Australians lose more money gambling each year than any other nation in the world with average per capita losses of 1,300 AUS dollars. Among problem gamblers, this number skyrockets to $21,000 per person. With 70% of the population gambling at some point during the year, the risk of developing a gambling addiction in Australia has never been higher. While many can enjoy gambling responsibly, the hypnotic lure of Australia’s favourite pokies has some gambling beyond their means and unable to stop as addiction takes over. When gambling goes from hobby to compulsion, people suffer severe consequences financially, socially and mentally. If you or a loved one is struggling with gambling addiction, The Cabin Sydney can provide an initial assessment and consultation and recommend an effective addiction treatment plan. A type of process or behavioural addiction, gambling addiction can best be described as the compulsion to gamble or place bets despite this behaviour having a negative impact on the gambler’s life. Debts begin to climb and other negative consequences start piling up and yet, those who are addicted to gambling cannot resist the overwhelming urge to place another bet. 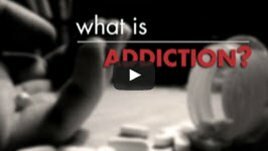 Our highly skilled team of addiction professionals have a deep understanding of all aspects of complicated process addictions such as gambling addiction. Their extensive experience treating addiction allows them to thoroughly understand and predict the challenges you will face as they guide you on your recovery journey. At The Cabin Sydney we take our clients’ confidentiality seriously. We believe that addiction and treatment are highly personal matters and ensure that we conduct ourselves with the highest degree of discretion to protect your privacy as you focus on recovery. At The Cabin Sydney, we utilise an innovative method of treatment that is unique to The Cabin Addiction Services Group’s centres. Especially effective for process addictions, our intensive Recovery Zones treatment method combines Cognitive Behavioural Therapy, Mindfulness and a modified version of the 12 Steps to create an incredibly effective programme for the treatment of gambling addiction. By focusing on identifying and predicting addiction triggers, building coping skills and learning relapse prevention techniques, our intensive yet manageable programme helps clients reach their recovery goals. Each individual is different, and so is each case of addiction. At The Cabin Sydney we understand this and thus each client receives a comprehensive clinical assessment. Based on these results, our addiction experts create a tailor made treatment plan to address our clients’ personal treatment needs. Contact us today about gambling addiction treatment to have a no obligation assessment and see how we can help you. Fill out the short form on the top right of this page, or call us directly on +61 2 9326 2867, to start your journey to recovery now.